If you know Korea very well, you will definitely notice that this country is so big when it comes to Festivals. There are festivals of almost everything you could ever think of including mud, water guns and whatnot. During spring time, flower festivals are everywhere, but I guess the most relevant so far is the International Horticulture Festival. This festival is held every late April to early May of the year at Ilsan Lake Park in Goyang. For this year 2016, the festival is scheduled from April 29, 2016 up to May 15, 2016. If you are into festivals, this one should not be missed because as the name suggests, it is an international event. 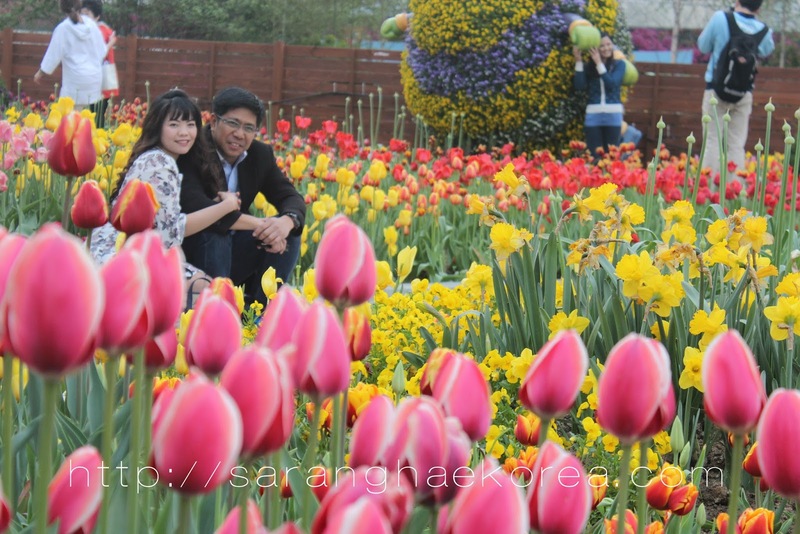 So together with my church mates at SCCFM in Seoul, we took part in this one of a kind flower exhibition which happens to be Korea’s representative in an international event. We were so amazed because everything you think you can do with flowers, from decorating to gardening, we have witnessed it all at this event. 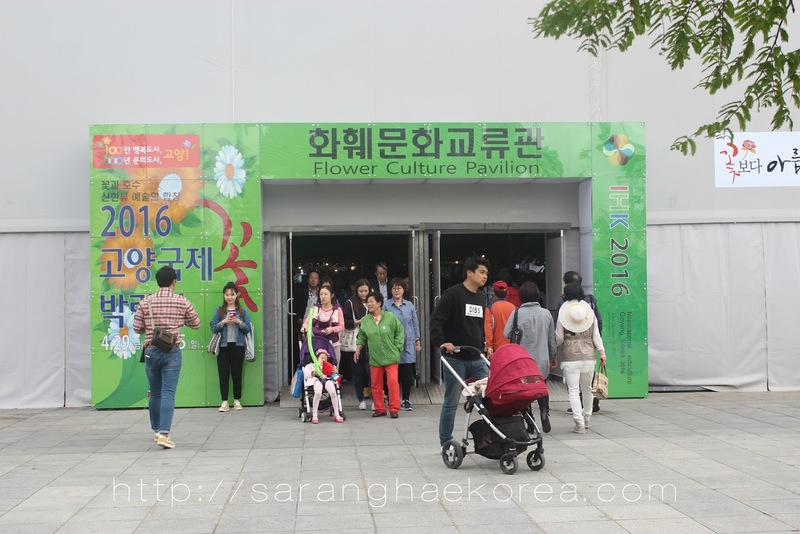 I like how Korea was able to integrate their culture in international festivals like this. This is not just all about flowers. When we arrived in the area, we can’t help but to animate the gastronomic part of us because Korean street food are everywhere. The stalls at the entrance of the festival are so enticing for the hungry visitors. Before we feasted our eyes on the flowers, we have feasted first at the food festival. No one actually verbalized it but I saw how in loved we are in the view of the lake. Ilsan Lake Park did a great job in preserving the lake because we saw how clean the water and how they make the place looks romantic and ideal place to relax and enjoy. As we entered the event area for the festival, I can’t help to notice the photo opp area at the lake side. It makes the place even more romantic. 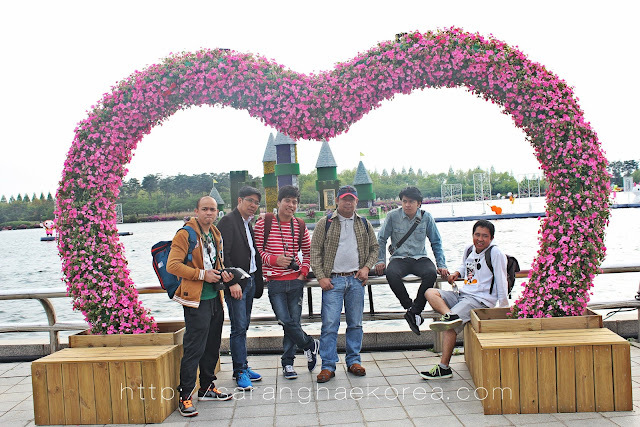 The Love Road offers nice composition for couples, friends or even group of friends to take photos at the pre-made frames with the lake as a background. The first area we visited was this pavilion which showcases flower culture. It’s all about flowers and the art you can do to present it to the onlookers. There seems to be a flower arrangement contest in this pavilion. I just can’t tell, all I know is we had a great photo opportunity inside the pavilion and of course, we enjoyed the beautiful flowers and the way they were arranged. 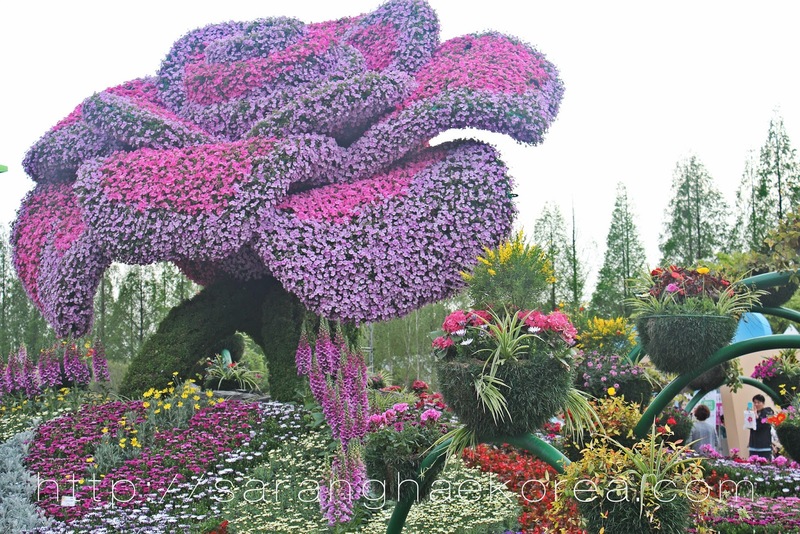 It is indeed an art and it requires skill to come up with such awesome flower arrangement ideas. When we talk about Korea and how it is in the international arena, the Hallyu Wave or Korean Wave plays a big role driven by the popularity of Korean dramas, Kpop and movies. Youth and adult from around the globe were greatly influenced by the Korean wave hence increasing the popularity of the country and making it one of the most go to places for travelers. The Korean wave deserves a place in international event like this. I like how they have dedicated part of the event area to highlight the Korean wave as part of its cultural. 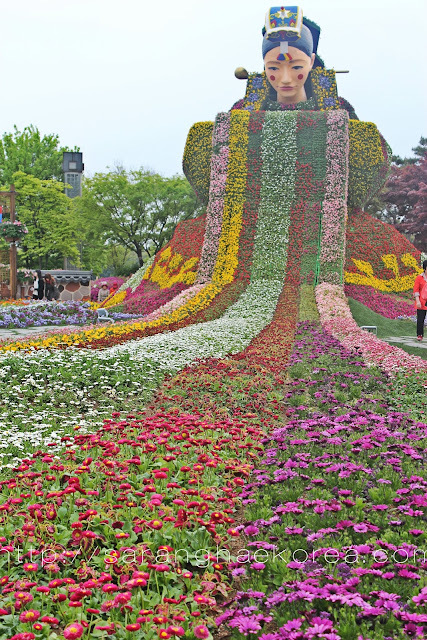 There’s no kpop idols or drama though, just a literal wave made with flowers. I know, very clever right? But of course, a Korean festival is not without them looking for the opportunity to segue their culture. 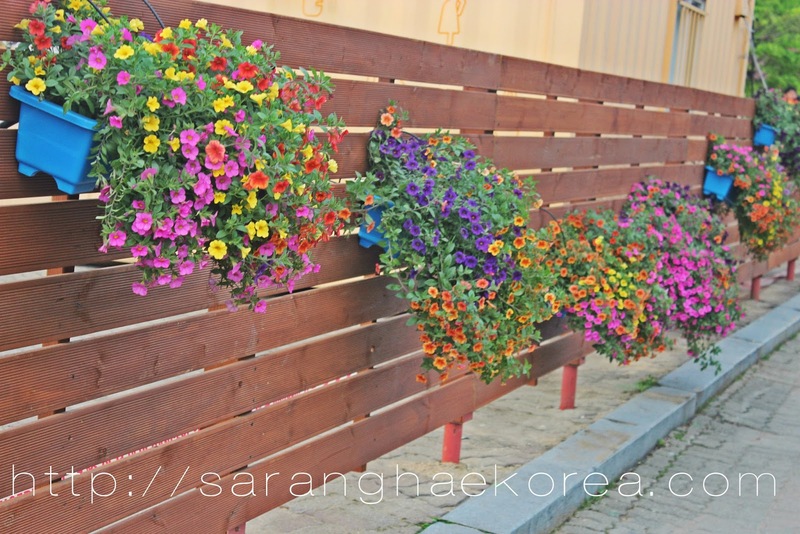 Through the help of flowers, Korea was able to present how they are when it comes to art. In their rose tunnel and orchid tunnel, you’ll see how they can use non bio degradable products to create an attractive tunnel through the help of orchids and roses. What really attract me are the flower walls. If wallflowers are meant not to be noticed, flower walls are undeniably the head turner of the event. You look at every wall in the event area and you’ll see flowers hanging and crawling at every corner of the wall. I also enjoyed the LED Roses tunnel. Having a tunnel full of roses is already a treat, but with LED all over it, this thing makes you want to stay the whole day as the sequence of lights change with the music. If you think that this festival is just all about culture, flowers and exhibitions, you are wrong. There are different performances and events take place in different areas. At the Lakeside stage, there are exciting performances like dancing and cheerleading. At the Happiness stage, you can watch the performance of the classical musicians. In another spot, you can witness a taekwondo performance and so on and so forth. All you need to do is walk around and witness these different performances all over the place. I can’t even tell the whole story because this is a very big event in a big venue with big stories to tell. Of course you will appreciate it more if you go there and check the International Horticulture Festival in Goyang. This 2016, you can still have the chance until May 15 to visit and join the festival. Entrance fee is 10,000 won, but if you are a foreigner, you have a discount and you only need to pay 8,000 won. You can even get further discount if you come in group and pay only 7,000 won. If you want to attend this festival, you can go to Ilsan Lake Park. If you go there via subway, take Seoul Subway line number 3, get off at Jeongbalsan Station and go to Exit 1 or 2. Ilsan Lake park is about 500 meters away from the station.